Seen ‘Curious Case of Benjamin Button’ and wondered how did they manage to make Brad Pitt look over 60 years old? 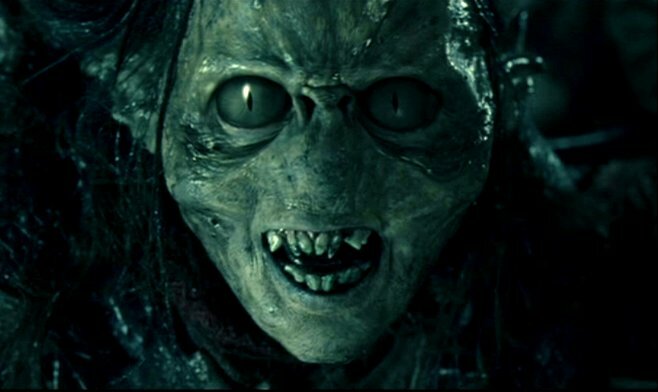 Or how did they manage to make those Ogres look so menacingly ugly in ‘The Lord of the Rings’? Well, Prosthetic and Makeup Effects is your answer. A discipline of makeup, Prosthetic and Makeup effects utilizes various specialized materials and methods to create looks which cannot be achieved with the regular makeup techniques. This discipline requires painting and sculpting skills along with traditional makeup expertise. It is commonly used in film and TV productions. Prosthetic and Makeup effects are used to make an actor look aged or young, to enhance/modify existing body part or add a completely new one, it can morph the face of an actor into that of an entirely different creature and much more. For an artist who is adequately skilled in this discipline sky is the limit when it comes to creating innovate yet believable look. The process of applying this specialized form of makeup usually begins with creation of a mold or a cast. The makeup artist will sculpt a realistic model of the actors face or body part in question and this will serve as the base for the artist’s work. This process of creating a lifelike replica for prosthetic enhancement is called lifecasting and mold created is called a lifecast. These lifecasts are usually made of silicon rubber or prosthetic alginate. The materials used in creating this makeup have to be selected with care as they are worn by the actor on their skin, hence it has to also take the allergies of the actor into accord. Once the lifecast is in place, the artist will start modifying its look depending on the character requirement. One can add wrinkles, wounds, skin aberrations, discoloration, deformity, specific texture etc. This is how in fantasy movies, the elves get their pointed ears or hobbits get their hairy large feet. The process of applying prosthetic makeup can be a time consuming one if the character requirement is complex. For Benjamin Button, Brad Pitt had to undergo one of the most difficult and time-consuming makeup processes. 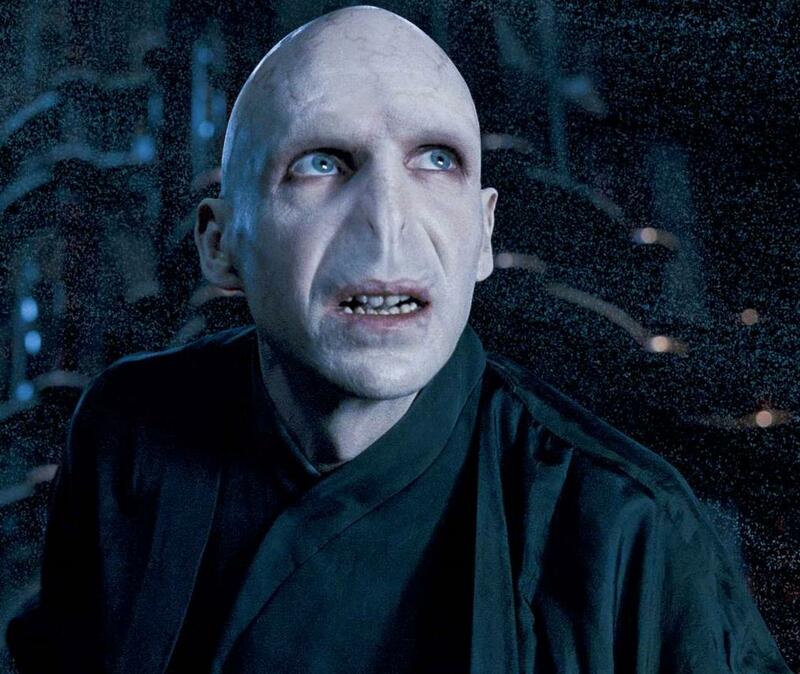 His aged look was achieved with a blend of conventional visual effects coupled with makeup effects which at time took over 5 hours to complete. One of the key factors in this art-form is making the makeup believable, and for this to happen the prosthetic appendages should blend seamlessly with the actor’s skin and body. VFX coupled with prosthetics can achieve looks makeup alone cannot. A filmmaker is a storyteller in visuals. Story always forms out of one’s imagination and life’s experience. But, to make it communicable to another person the storyteller needs craft. While imagination is inspired, a craft can be taught. It is to be noted that the tradition of training performers in a proper school was always there in India. So, it is more of a baseless prejudice that film art, unlike music or painting, cannot be taught. Further, people have a wrong idea about teaching. As Jean Renoir once wrote, a teacher’s job is to show relations between things. Through a guided tour, a teacher brings multiplicity of real experiences to his students. That can save a lot of learning time. However, anyone who wants to be a good cinematographer needs rigorous training in some basic steps. These are the building blocks for cinematic story telling – Composition, Exposure, Optics, Lighting, Understanding of Color, Camera Mechanisms, Sensitometry, Pre-production and Post-production processes, , Camera operation and Grip, Set Management and Creative Collaboration on the set. There are few things besides these that an active cinematographer has to bother about, in his daily work. Finally, everyone learns and becomes sophisticated in the skills through use and practical experience – through problem solving, basically. But, to start, one needs to have good, or at least standard, skill in these ten things. Sometimes, they are called the ten golden steps in cinematography. Let us examine the steps more closely. In reality, we see things happening around us in a continuous mode. In cinema, the reality is framed. Where the frame ends, space is suddenly cut off. Any story-telling, hence, is essentially made through frames, and more importantly, through arrangement of things in the frame. Actors and set properties can be arranged in different geometric formations in relation to one another, and in relation to the background. 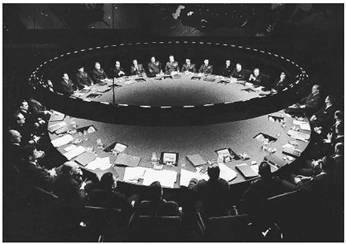 The idea of power, for example, is enhanced by the circular formation in this frame. Even when this is not a wide top shot, it can be seen that the power is projected by the suggestive circle in which people are sitting. 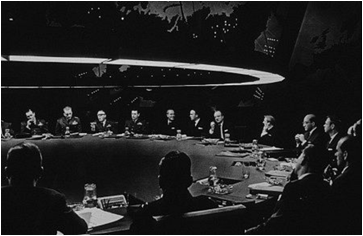 The scene presents a grave mood even when the viewer is not aware that it is the control room for war. Primary shapes, such as circle, square and triangle, either as physical shapes or actors and props in such formation always catch the eye. Just like the shapes, lines and solid forms – sphere, cube, cone and cylinder – pose creative challenge to the viewer’s dynamic mind. Great filmmakers like Eisenstein always knew this, and took it to a height in films like Ivan the Terrible Part I and Part II. Modern filmmakers take recourse to this when they want a strong emotive utterance without using dialogue or too much physical action. Coen Brothers’ Fargo plays a witness to setting up the atmosphere of chill, business and cold murder through use of lines. Lines can be vertical like this formation, or diagonal like the car. When the actors and props are in a diagonal arrangement, that gives the frame certain dynamism, and story a certain speed. Changing the shapes and lines in successive shots, produce internal rhythm that helps in engaging the viewer to the story. When a sense of rest or immobility is to be conveyed, filmmakers use a horizontal line instead. Such a line, parallel to the picture-frame-edges, produces the least internal motion. Viewers tend to connect maximum things to positions of human body in the space. A horizontal line evokes a dead body, or at best a sleeping man, to mind. Talking of lines, one should remember that lines also psychologically divide a framed space. Film screen space is always rectangular. But the rectangle can be of different widths. This is known as Aspect Ratio, in cinematic terms. Choice of aspect ratio is both functional and aesthetic. Whatever it is, the picture space always retains certain areas of prime importance which the human eye catches fast. Traditionally, this psychological preference is translated geometrically in the frame. It follows certain visual conventions that in turn depend on visual psychology and viewer-reaction points. In filmmaking, photography and painting, this is known as the rule of the third. 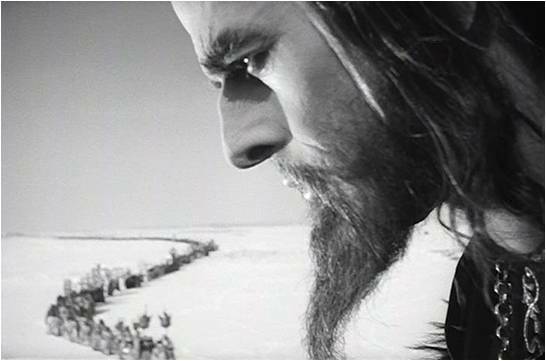 It is interesting to note, when the frame gets wider – a Cinemascope frame, for example – the rule of the fourth follows, quite logically. The idea came from painting. 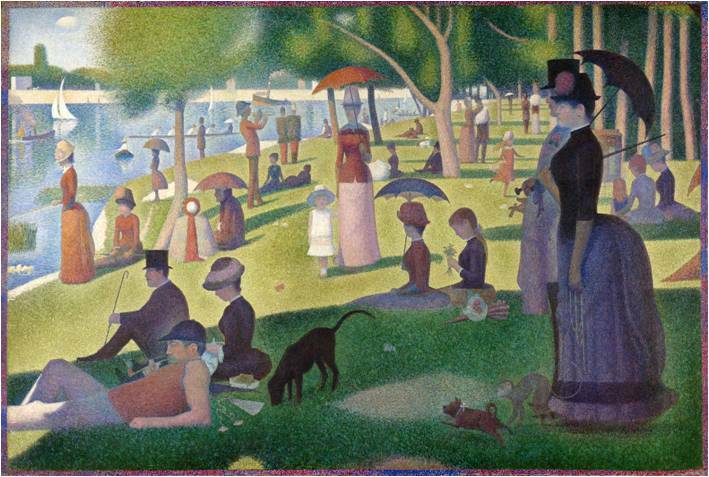 Visual artists always knew where the viewer’s attention tends to hover maximally, in a square frame. If the painter wanted some face or object to draw viewer’s attention most, they just had to keep them in those particular areas in the frame. With such a calculated approach, interesting storytelling became easy. Filmmakers quickly took to the same approach. However, motion picture cannot always show a dynamic, harmonic frame, as people and objects keep moving through time. The idea of Key frame came soon as a solution. When important things are happening, or someone is delivering a dialogue, the actor in prominence or an object which the filmmaker wants to highlight, is halted to rest. When someone is at rest, his face can be at one of the nine interesting points of intersection, making the frame visually dynamic and interesting. It is playing with the viewer’s psychology and expectations finally. A normal human mind always looks for something exciting in the space that is not revealed to him, or revealed partially. The idea is inherently embedded in human visual psychology. Man likes mysteries, puzzles. When everything is revealed, the human mind does not have much to work on solving the puzzle. 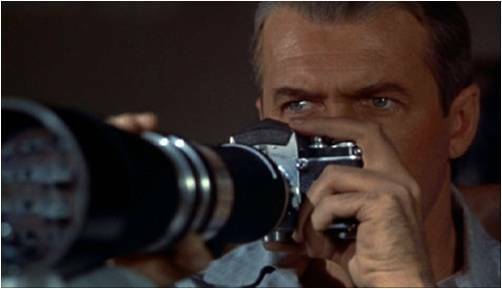 However, when a solo character looks at an off-screen space (space outside the frame), the viewer’s mind wants to know what lies beyond the frame line. Filmmakers like Hitchcock knew this, and played subtly on the basis of normal human expectations. The answer can only be obtained in the next moment. This is why film is a serial art form, where one composition follows another to answer some question. Where the form (ie, the composition) makes the content (ie, the expectation) stronger, the storytelling becomes effective. 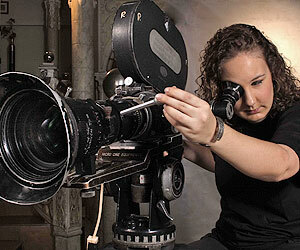 The Director of Photography, also known as the Cinematographer, is a vital creative force in the Film making process. 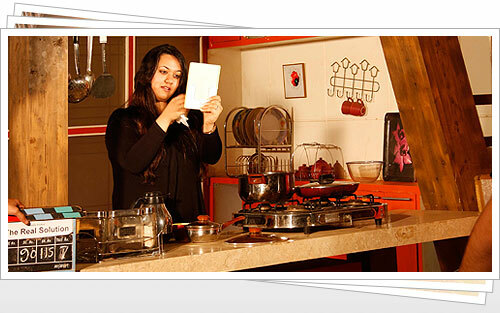 He or she is that one person who is responsible for translating the Director’s cinematic vision onto the screen. Not only does a Cinematographer need to be adept at creating engaging visual moods, but must also be able to both envision them and execute them. And it is here that the role of a good Director of Photography becomes most challenging. Because in order to envision a visual scenario, he or she needs to be extremely creative, which is a right-brain function. But because that envisioned mood will be realized using mechanical tools, such as light and camera, he must also possess a scientific bent of mind in order to achieve the right mood. This then makes it a left-brain function. The two combined make it a very complex job that can only be effectively executed with deep knowledge and creativity. Because in the role of a Director of Photography, the individual is both an artist and a technician, and must be the best of both these divergent worlds. So how does one prepare for this highly complex role? How does one develop the required skills needed to be a compelling Cinematographer? There are creative and technical worlds to conquer and master, and the required preparation is immense. At the time of shoot, or even in pre-production visualization stages, a Director may lack visual thinking. It is the Director of Photography who translates the Director’s literal thoughts to screen. The whole Cinematography team gets engaged in that job, under the guiding force of their Captain – the Director of Photography. The question is how to train oneself to that profile? Digital Academy – The Film School is the answer. The DA Cinematography program will give you the most comprehensive and in depth grounding, by using world-class equipment and instructions from the most sought after artists & technicians in the business. 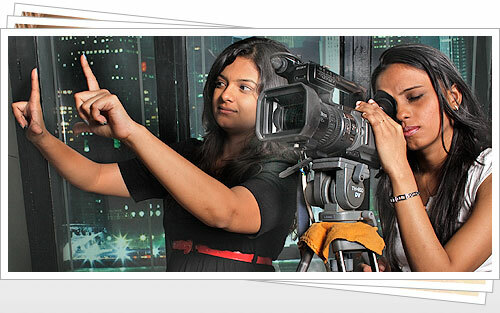 While you will learn the theory of Cinema, you will also physically handle and shoot on a wide array of cameras & lenses. While you participate in workshops by leading Cinematographers from Bollywood, you will also build contacts and create your network to eventually work in the industry. Armed with the training from DA, you will truly broaden your horizons as an individual artist and as a young DoP hungry to work in the Film industry! It is now common knowledge that the audio-visual medium is the fastest growing medium of communication in the world. Films are made not only in the fiction format but also as documentaries, training films, corporate films, advertisements and video art. The world of films is like a mushroom cloud that keeps getting bigger and bigger. 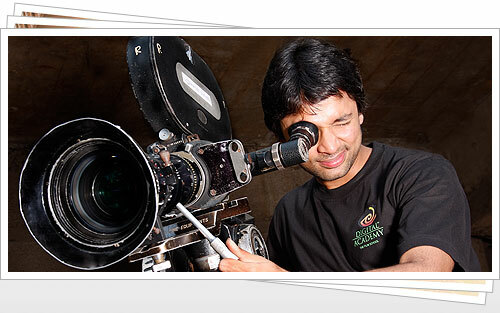 Every Film must have a Director with a complete knowledge of Film Making. It stands to reason therefore that higher the number of films, higher will be the demand for directors. A Film Maker is an artist-technician who is also an expert manager, logistics person, coordinator and chief executive officer- all rolled into one. A Film Maker is like a master puppeteer who holds all the strings and makes illusions look like reality. It is a difficult job that requires tremendous creative energy, enthusiasm along with loads of patience and humility. 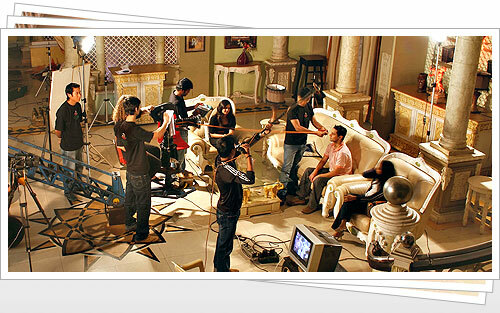 A career in Film Direction is one of extreme creative satisfaction, apart from side benefits of fame and money. But only those who are ready to go through the grind and put in hard labour as well as application can succeed. Most students of Digital Academy join the industry initially as Assistant Directors and work their way up towards the Directors post. But there is no hard and fast rule about this and if you have the capability you might well straightaway become a Director as soon as you pass out from Digital Academy-The Film School. While careers of Film Makers are the same as Film Directors it is our analysis that Film Makers who have a complete knowledge of Film Making are generally more in-demand and sought after. In 1971, India overtook Japan to become the world’s largest manufacturer of feature films. With 431 titles, it was the only Third World national cinema at the time to have a larger audience for indigenous cinema than for imported films (Rajadakshya 678). Even today, Indian cinema is the frontrunner in terms of annual feature film production, with films being released in over 12 separate regional offshoots in the country, each with their own language. However, the contemporary mainstream branch of Indian cinema, the Hindi film industry, has had the most pervasive influence in Indian cinema in terms of popularity. Around the globe, filmgoers hold the Hindi film industry, with its trademark use of song and dance sequences and exaggerated pantomimic style of acting, to be synonymous with Indian national cinema as a whole. Despite such popularity, not many people are aware of the mission behind this industry and the reasons why its films employ such an eccentric approach to filmmaking. Popularly known as Bollywood, the Hindi cinema is distinguished by its strong sense of nationalist pride and spirit of kinship, solidarity and social obligation, which are used not only to pull audiences but also as structuring devices within its films; Bollywood films have thus served as very effective unifying tools to spread the message of communal harmony throughout the country. Early Indian cinema, along with its conventions and practices, was built with the intention to propagate a strong nationalist agenda, so that it could ease the excessive regional, religious and communal friction that scarred India’s early Post-Independence period. The films of this period set the foundation for Bollywood films, which were influenced to similarly incorporate this agenda. In 1947, when India attained freedom from the British rule, it faced the uphill task of trying to forge a new, independent nation, while facing the innumerable problems that came with the partition of the Indian subcontinent into India and Pakistan. Mass migrations to and from Pakistan, the resulting hatred between Hindus and Muslims, and unchecked urban expansion gave way to rapidly escalating religious and communal conflicts, which ravaged every part of the nation. Three years later, India’s first Prime Minister, Jawaharlal Nehru decided to battle this communal intolerance with the medium of film. He appointed the S.K. Patil Film Enquiry Committee, which was independent India’s first freelance investment sector that would provide filmmakers with the funds they required to continue the production of feature films. (Rajadakshya 681) This Committee was instructed to encourage the production of films with a strong pan-nationalist agenda. In this way, the government hoped that films would instill a sense of brotherhood and solidarity into the masses, influencing them to cease the religious and communal conflicts. In lieu of any other dominant forms of financial support, filmmakers began to inscribe nationalist messages into their films to gain the support of the Committee. India’s next large-scale cinema movement was the Indian People’s Theatre Association (IPTA), which came to power in 1951 (Rajadakshya 681). This association served as a refuge for filmmakers who wished to use their art to unite India’s general populace in joint cultural enlightenment. Some of India’s most influential filmmakers at the time, namely Ritwik Ghatak, K. A. Abbas, and Guru Dutt, were the founding fathers of this organization, and they constructed its rules and their own films by “using the paradigm for ‘nation’ to define community, family, and sometimes the tribe, as principle of social legitimization and enfranchisement” (Rajadakshya 681). Thus, the IPTA and its films had the effect of inculcating strong nationalist and kinship values into the general viewer’s mind. The IPTA then led an urban movement in the 1960s, where all of India’s smaller regional cinemas were united and began to converge to the big cities of Mumbai and Calcutta. The government-installed Film Finance Corporation then set about the process to standardize many of the narrative structures and conventions of this new, united cinema; the purpose behind all of this was to establish an ‘All-India film’, “a nationally integrative cultural-cinematic mainstream that took on a cultural leadership [reinforcing] some of the unifying tendencies in our social and economic changes” (Rajadakshya 684). The language of the masses in Mumbai and Calcutta, Hindi, soon became the official language of this new unified national cinema, which then developed into Bollywood in the early 1970s. As a result, Bollywood was born with the pre-existing mission to unify the masses in communal harmony, and thus, inadvertently built on strong nationalist and kinship values. Throughout Bollywood’s existence, its films have been noted for their marked difference from those of other First World national cinemas. Bollywood films have many conventions that might seem alien to the Western viewer, and as a result, have often been subject to open criticism. Many critics, as well as general Western viewers commonly hold that its films involve a complete abandonment of realism, an excessive use of exaggerated, overdrawn dialogue with too much over-the-top emotion, very little regard for narrative continuity for the sake of song and dance sequences, and an overall preference for clichés and spectacles over dramatic substance. As a result, Bollywood films can often appear to be escapist and exploitative. However, the mistake behind such criticism is that these films are being evaluated in terms of a Western audience’s position, expectations and needs. Bollywood films situate their viewers in a very different way, such as they can fully experience their communal solidarity through enhanced emotional interaction with the characters on screen, and more importantly, with the other members in the audience. They have a much deeper task of not only entertaining, but also linking members of the audience to each other. This is because, for Indian filmgoers, Bollywood films are almost a form of community bonding, as they expect to experience the film alongside the many other people in the theater who are watching it with them. The Bollywood film theoretician, Rosie Thomas, explains that for Indian audiences, “involvement in films is intense and audiences clap, sing, recite familiar dialogue with the actors, throw coins at the screen (in appreciation of the spectacle), ‘tut tut’ at emotionally moving scenes, cry openly and laugh and jeer knowingly” (129). Therefore, in order to get such a reaction and stimulate such audience interaction with the film, Bollywood movies make excessive use of spectacles and emotions. In a 1981 interview, Bollywood screenplay writer, Javed Akhtar stated that “[t]he difference between Hindi and Western films is like that between an epic and a short story. Not only is a film expected to be two-and-a-half to three hours long, but it is usual for the plot to span at least two generations, beginning with the main protagonists’ births or childhoods and jumping twenty or so years to the action of the present” (Thomas 123). In this way, audiences are exposed to every part of the protagonist’s life, and are thus more emotionally invested in his/her character than Western audiences would be with their protagonists. Bollywood’s employment of stylized, pantomimic styles of acting, with frequent displays of tears and laughter, further enhances the emotional impact of these films on its audiences. Through this collective emotional connection, Indian audiences thereby develop a sense of solidarity among themselves while watching the movie. Once this has been established, Bollywood films then use their many spectacles to keep the audiences involved and help them experience the film as a collective rather than as individuals. Overblown dialogues are popular because they are clapworthy. Unbelievable stunts and out of place dance sequences, all at the expense of realism, are appreciated and accepted as the norm because they draw a lot of ‘oohs’ and ‘aahs’, and thereby stimulate direct audience engagement. Thus, Bollywood films willingly sacrifice verisimilitude in order to give audiences a shared, participatory emotional experience. This experience can entertain them and bring them together through its enhanced ability to affect rather than simply tell a story. This moral universe that Bollywood uses to give narrative structure to its films places ‘traditional’, ‘social’ and ‘Indian’ values on the same ground as good morality, and ‘non-traditional’ and ‘individualistic’ values on the same ground as evil. As a result, a protagonist is required to respect the values of dostana, the Hindi word for friendship and kinship obligations, as well as place all national and social obligations over his/her own needs and desires if he/she is to remain moral (Thomas 126). It is fairly common to see a Bollywood hero choose his best friend or the nation’s well-being over his romantic interest or any other temptations, as the values of kinship and friendship must be his first and foremost priority. Possibly the most popular Bollywood film of all time, Sholay (1975), directed by Ramesh Sippy, exemplifies this assertation, as its narrative and its central theme are both built on the concept of dostana, to the level that its two main protagonists often sing about their unwavering commitment to their friendship. At the end of the film, one of the protagonists, Jai (Amitabh Bachchan), eventually kills himself to save his friend from any harm, and this act is known to be one of the most touching sequences in Bollywood film. Thus, it can be seen that this moral universe not only serves as structuring device for these films, but also impacts the common viewers in a way that promotes a sense of communal solidarity, strong patriotic values and an unparalleled sense of respect and love for one another. Therefore, even though the elite members of the Indian populace may be ashamed of their national cinema, the masses are still held together by their mutual pride and support for Bollywood. This can be proven by its high domestic success rate. India’s national cinema produces approximately 1000 films every year, which is double Hollywood’s output, and 14 million Indians go to these movies on a daily basis (Kearney 1). In 2008 alone, Bollywood films sold 3.1 billion cinema tickets and grossed nearly $10 million to put up a figure of 84% of revenue from the box office (Patel 2). Another factor of Bollywood films that promotes a strong nationalist and cohesive image of ‘Indian-ness’ is its inclusion of song-and-dance numbers; these Indian film songs are conceptually and structurally built according to the ideals of emotional appeal and the film’s moral universe, which we have already established to be very important in spreading a sense of togetherness and communal bonding. Bollywood’s extravagant song and dance sequences were primarily influenced by the Urdu Parsee theatre of the 1930s, which used music to create a heightened mood that dialogue could not achieve (Kabir 41). In her analysis on the evolution and structure of these Bollywood film songs, the NYU music professor, Natalie Sarrazin explicates how these songs developed from this theatre as well as classical Indian music tradition, and invoke classical music’s trademark expression of one or more of the nine moods or rasas in a way that could enhance their emotional appeal as much as possible; for this reason, the singers of these film songs almost always only used their deep chest voice and not their high head voice (27). The emotional strength of these Bollywood songs strongly encourages audience engagement and participation. In lieu of other dominant forms of popular music, Hindi film songs are played at weddings and parties, and give the overall feel of solidarity and fellowship by collectively relating the people outside the film to the characters inside the film. Also, it should be noted that, save for a very small number of exceptions, the villains of Bollywood films never sing. This points at the fact that these song and dance sequences have a humanizing effect and support the moral universe that Bollywood films employ (Thomas 126). As a reward, only those who obey the moral universe with its patriotic and kinship values have the privileged ability to sing and dance. Historically, these Hindi film song and dance sequences have always had a strong emotionally unifying effect within the Indian community. The film theorist, Nasreen M Kabir states “these songs, with their inventive Hindi/Urdu lyrics have long been a bonding force in the Indian diaspora, re-creating a familiar world of images and emotions and linking millions of people to their homeland” (41). For example, in the film, Anmol Ghadi (1945), directed by Mehboob Khan, the song ‘Awaaz de kahan hai’ was a sung to represent the feelings of those people who had been separated from their loved ones during the partition of the subcontinent into India and Pakistan. In a cruel piece of irony, its singer, Noor Jehan was later forced to migrate to Pakistan on account of her Muslim heritage, after which the song became an anthem for displaced people who used it to communicate with their distant relatives and lovers (Kabir 42). In this way, several Hindi film songs have been used to reflect and represent various social and cultural issues, but more importantly, their emotional strength has often been used to convey a sense of communal harmony and ‘Indian’ togetherness. The film, Bombay (1995), directed by Mani Ratnam, serves as a firm example of how Bollywood films have been used as potent weapons against cultural, religious and political disparity within the larger Indian community, by effectively putting into perspective and help heal to wounds of actual acts of communal violence. The film, Bombay, evokes the traumatic events that rocked the city of Mumbai after Hindus and Muslims started rioting against each other in 1992-3. Mani Ratnam, charged with the mission to restore the city’s secular ideals, released this movie two years after the riots took place, while the city was still reeling from the aftershocks of communal violence. The two main protagonists, Shekhar (Arvind Swamy), a Hindu man, and Shaila (Manisha Koirala), his Muslim wife, are placed at the center of the moral universe, as they constantly try to spread the message of communal love to instigators of all the hatred. Thus, Ratnam does not privilege the Hindu or the Muslim side, but instead gives the viewer two protagonists of each religion, who are heroes purely because they endorse the kinship values and communal harmony of the Bollywood moral universe (Gopalan 17). As Shekhar and Shaila’s loved ones are killed, their emotional reactions to the violence, supplemented by A.R Rahman’s poignant soundtrack that echoes their desperation and emotional turmoil, show audiences the consequences of such hatred within the Indian community. At the end of the film, Shekhar, in sheer desperation yells “Stop it! Can’t you see we are all Indian?” Indeed, audiences were so moved by the protagonists’ pain, which reflected their own losses, and the film’s strong nationalist message, which practically yelled out for communal harmony, that the film eventually served to reduce many of the reverberations of the riots and spread a general air of cultural understanding. Based on the nationalist agenda that spurred the formation of post-Independence Indian cinema, Bollywood surfaced as a weapon against communal intolerance. It emerged as an entity uniquely oriented towards a moral universe that encouraged kinship values within a country that was physically united but culturally splintered. Its conception directed the currents of Indian movie themes towards emotional ebbs and flows that supplemented audience solidarity. Though many would deem Bollywood to be an escapist and exploitative medium, what is overlooked here is that these films are targeted towards inspiring the masses and instigating communal harmony. The songs and dances of these films only emphasize the general sentiments of cross-cultural fellowship that their films promote. This promotion of unity is so strong that films have successfully quelled communal tensions in the past. When it comes to Bollywood “it is obvious, a key component has been that of ‘nation’: and indeed, it is virtually impossible to speak of the Indian cinema without bringing somewhere into play that crucial cultural movement of Indian nationalism.” (Rajadakshya 678). Chadha, Gurinder. “Being embarassed about Bollywood is a disease in India.” Interview. India Abroad Feb. 2005. Gopalan, Lalitha. “Bombay.” BFI Modern Classics (2003). Kabir, Nasreen M. “Playback Time: A Brief History of Bollywood “film songs”” Film Comment 2002. Kearney, Milton. “Bollywood Statistics.” India Today International Edition (2007). SearchIndia.com. 1 May 2009 . Patel, Lola. “Bollywood Statistics.” Redhotcurry.com. 01 May 2009 . Rajadakshya, Ashish. The Oxford History of World Cinema. Ed. Nowell Smith. Oxford: Oxford UP, 1996. Sarrazin, Natalie. “India’s Music: Popular Film Songs in the Classroom.” Music Educators Journal (2006). Thomas, Rosie. “Indian Cinema: Pleasures and Popularity.” Screen Magazine May 1985.